2017 Annual Report - Together we made an impact! Later Hours, Nanny Guide and More! As Westchester's #1 resource for child care, we can be most helpful to parents when they call and speak to one of our specialists directly. So, our Resource and Referral Department is staying open late every Tuesday, until 7pm. Just call (914) 761-3456 x 140 to reach an expert counselor. Our 2018 Awards Breakfast - Biggest and Best Yet! Nearly 300 guests enjoyed our Annual Awards Breakfast on Friday, May 18th at the Westchester Marriott. 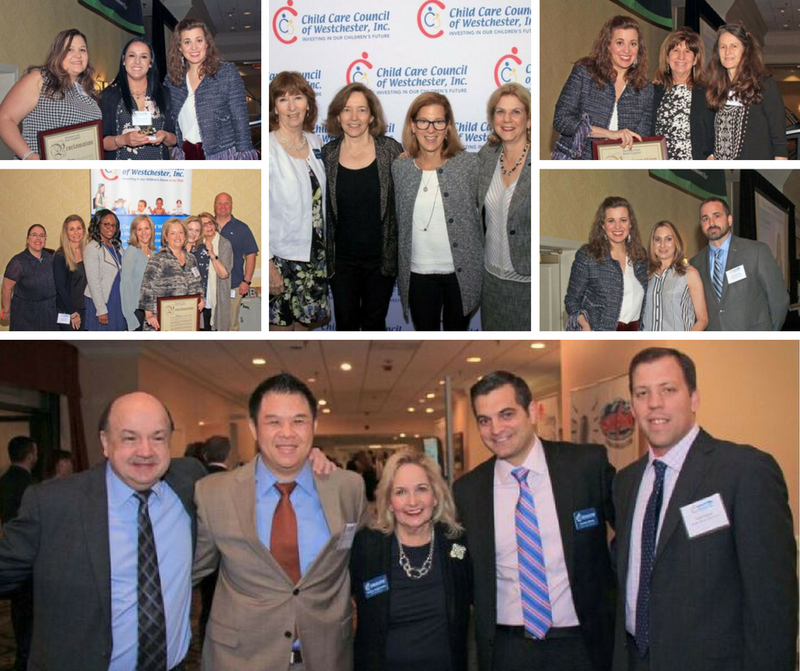 Emceed by Tara Rosenblum of News 12 Westchester, the event honored Champions for Children Senator Shelley Mayer, Neighbors Link and Open Door Family Medical Centers and Joey Award Winners Kim DeSalvo of Ardsley Children's Center, Vicki Forbes of WJCS Building Better Beginnings Program, Madeline Freed of All Aboard Childcare and Elizabeth Knowles of Little House Day Care. Highlights included youthful guest emcees Talia Ruoff and Kingston Simister, remarks from County Executive George Latimer and Board of Legislators Chair Ben Boykin, a live broadcast by Westchester Talk Radio, a delicious brunch, and a silent auction featuring fabulous prizes. A special thank you to our event sponsors, including Polaris Properties and Clarfeld Financial Advisors. Mark your calendar for next year's Awards Breakfast on June 7, 2018. To see all our guests and honorees, click here.